The Arctic sea ice has not only declined over the past decade but has also become distinctly thinner and younger. Researchers are now observing mainly thin, first-year ice floes which are extensively covered with melt ponds in the summer months where once metre-thick, multi-year ice used to float. Sea ice physicists at the Alfred Wegener Institute, Helmholtz Centre for Polar and Marine Research (AWI), have now measured the light transmission through the Arctic sea ice for the first time on a large scale, enabling them to quantify consequences of this change. They have come to the conclusion that in places where melt water collects on the ice, far more sunlight and therefore energy is able to penetrate the ice than is the case for white ice without ponds. The consequence is that the ice is absorbing more solar heat, is melting faster, and more light is available for the ecosystems in and below the ice. The researchers have now published these new findings in the scientific journal Geophysical Research Letters. Melt ponds count among the favourite motifs for ice and landscape photographers in the Arctic. 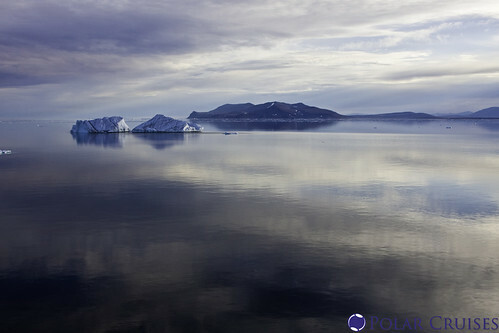 They are captured glistening in a seductive Caribbean sea blue or dark as a stormy sea on the ice floe. "Their colour depends entirely on how thick the remaining ice below the melt pond is and the extent to which the dark ocean beneath can be seen through this ice. Melt ponds on thicker ice tend to be turquoise and those on thin ice dark blue to black", explains Dr. Marcel Nicolaus, sea ice physicist and melt pond expert at the Alfred Wegener Institute. In recent years he and his team have observed a strikingly large number of melt ponds during summer expeditions to the central Arctic. Virtually half of the one-year ice was covered with melt ponds. Scientists attribute this observation to climate change. "The ice cover of the Arctic Ocean has been undergoing fundamental change for some years. Thick, multi-year ice is virtually nowhere to be found any more. Instead, more than 50 per cent of the ice cover now consists of thin one-year ice on which the melt water is particularly widespread. The decisive aspect here is the smoother surface of this young ice, permitting the melt water to spread over large areas and form a network of many individual melt ponds", explains Marcel Nicolaus. By contrast, the older ice has a rougher surface which has been formed over the years by the constant motion of the floe and innumerable collisions. Far fewer and smaller ponds formed on this uneven surface which were, however, considerably deeper than the flat ponds on the younger ice. The growing number of "windows to the ocean", as melt ponds are also referred to, gave rise to a fundamental research question for Marcel Nicolaus: to what extent do the melt ponds and the thinning ice alter the amount of light beneath the sea ice? After all, the light in the sea – as on the land – constitutes the main energy source for photosynthesis. Without sunlight neither algae nor plants grow. Marcel Nicolaus: "We knew that an ice floe with a thick and fresh layer of snow reflects between 85 and 90 per cent of sunlight and permits only little light through to the ocean. In contrast, we could assume that in summer, when the snow on the ice has melted and the sea ice is covered with melt ponds, considerably more light penetrates through the ice." To find out the extent to which Arctic sea ice permits the penetration of the sun's rays and how large the influence of the melt ponds is on this permeability, the AWI sea ice physicists equipped a remotely operated underwater vehicle (ROV "Alfred") with radiation sensors and cameras. In the summer of 2011 during an Arctic expedition of the research ice breaker POLARSTERN, they sent this robot to several stations directly under the ice. During its underwater deployments, the device recorded how much solar energy penetrated the ice at a total of 6000 individual points all with different ice properties! A unique data set was obtained in this way, the results of which are of great interest. Marcel Nicolaus explains: "The young thin ice with the many melt ponds does not just permit three times as much light to pass through than older ice. It also absorbs 50 per cent more solar radiation. This conversely means that this thin ice covered by melt ponds reflects considerably fewer sun rays than the thick ice. Its reflection rate is just 37 per cent. The young ice also absorbs more solar energy, which causes more melt. The ice melts from inside out to a certain extent," says Marcel Nicolaus. What might happen in the future considering these new findings? Marcel Nicolaus: "We assume that in future climate change will permit more sunlight to reach the Arctic Ocean - and particularly also that part of the ocean which is still covered by sea ice in summer. The reason: the greater the share of one-year ice in the sea ice cover, the more melt ponds will form and the larger they will be. This will also lead to a decreasing surface albedo (reflectivity) and transmission into the ice and ocean will increase. The sea ice will become more porous, more sunlight will penetrate the ice floes, and more heat will be absorbed by the ice. This is a development which will further accelerate the melting of the entire sea ice area." However, at the same time the organisms in and beneath the ice will have more light available to them in future. Whether and how they will cope with the new brightness is currently being investigated in cooperation with biologists.